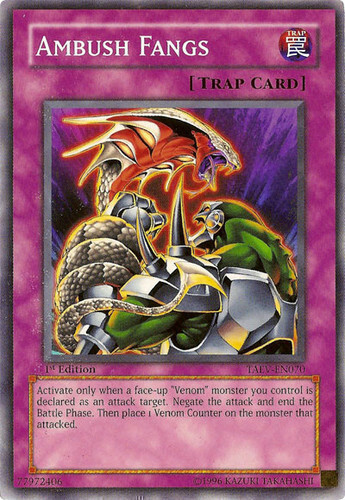 Activate only when a face-up "Venom" monster you control is declared as an attack target. Negate the attack and end the Battle Phase. Then place 1 Venom Counter on the monster that attacked.